> Globe Partner, the insurance for every travellers all over the world. > ACS World, designed for people of all nationalities under 65 years old residing outside their home country. > ACS UAE, the insurance designed for expatriates in the United Arab Emirates. > Expatriate insurance USA, Affordable Care Act (ACA) compliant health insurance designed for expatriates in the United States of America. This insurance plan is can be subscribed by people of all nationalities until 63 years old. > Repatriation Assistance and Civil Liability Insurance for Expatriates, designed to complete and reinforce expatriate’s international protection. > Senior expatriate health insurance,worldwide health insurance for retired expatriates over 60 years old. Can be subscribed without any age limit and offers lifetime covers. > AMI Pro, the expatriate insurance for groups of employees. > ACS Business Trips, the travel insurance for the employees on business trips. > Housing insurance for student in France, the house insurance for French or foreigners students living in France. Expats planning to relocate to Manila are about to live in one of the busiest cities in the Philippines. Most government offices, corporations, facilities and universities are conveniently situated there. The streets are always full of people and vehicles – finding a quiet moment may, in fact, be a challenge. Almost everyone in Manila can speak and understand English, which means that you won’t find a hard time trying to communicate with them. However, it will be easier to break the ice with the locals if you make some effort to speak their native tongue, Tagalog or more formally known as, Filipino. You can start with simple greetings such as ‘Kumusta ka?’ (How are you? ), ‘Magandang umaga’ (Good morning) and ‘Magandang Gabi’ (Good evening). ‘Paalam’ (Goodbye) and ‘Salamat’ (Thank you) are also very useful. Filipinos are known for their humility and warm hospitality, despite the known hardships in their everyday lives. You will rarely see a frowning or snobbish local. Many times, they will be the first to strike up a cheerful conversation. More on the daily essentials you need to face the changes in your environment head on below. Getting around Manila takes a lot of patience because of the city’s notorious traffic especially in main roads and is almost unbearable during rush hours. Here are some of the most common modes of transportation that every expat should know. You need to prepare yourself to be stressed out if you are planning on driving in Manila. Aside from the traffic, roads in Manila are also prone to accidents because of many drivers who tend to ignore even the most basic traffic rules. Currently, only diplomats, returning Filipino citizens and 13G visa holders are allowed to import cars to Manila. Those who are not either of the three can just purchase a car once they arrive in the city. Aside from a local driving license, your vehicle should have the Compulsory Third Party Liability Insurance (CPTL). This type of coverage is mandatory for all cars in Manila and is required by law to ensure that any damages to property or injury/death to third party person involved in the accident will have sufficient coverage. CPTL usually costs Php 2000.00 or €115.00 a year. Driving in Manila without insurance is considered a crime and entails penalties. Jeepney is a type of public utility vehicle which is the city’s most popular mode of transportation and considered to be an icon of the Filipino culture. The current regular fare for the jeep is Php 7.00 or € 0.133 for the first 4 kilometres. Expats can also travel by bus which is more spacious than the jeep or by taxi where the flag down rate is Php 40.00 (€ 0.763). Those who want to get around the city faster can use the Light Rail Transit (LRT) or Metro Rail Transit (MRT) which are electric powered trains. Intramuros (Walled City) is known for being a tourist spot but is eventually developed into a residential area. Within its proximity is a mixture of beautifully preserved old colonial houses and high-rise condominiums. It is also close to the city’s major educational institutions such as Colegio de San Juan de Letran, one of the oldest schools in the country that was founded in 1620. The average cost of a one-bedroom flat in Intramuros is €140 and a two-bedroom loft unit in a condominium is roughly €380 per month. This district is the home of several offices, businesses and universities. Expats who are looking for a place where they will have easy access to the city’s major roads, then Ermita is the place to be. Here, you will find Manila’s largest shopping mall, SM City Manila where upper and middle-class families spend their leisure time. Your kids will also enjoy living here because of several museums and recreational parks within the area. A one bedroom unit in Ermita is around €200 while a two bedroom flat is €450 a month. Located in the 4th district, Sampaloc is referred to as the ‘University Belt’ because of the several prominent universities in its area. Here you will find the terminals of the main bus lines that operate both in the city and provincial areas. Expats who are going to live in Sampaloc will also be close to some private hospitals such as the University of Santo Tomas Hospital. You will find a one-bedroom unit in Sampaloc at around €200 per month and a two-bedroom flat at roughly €350. Foreign nationals are allowed to purchase a home but not a land in Manila. Buying a home is mostly suitable for those who are planning to stay in the city for a long time because they have the option to lease the property for 50 years. Expats are also allowed to purchase high-rise apartments or condominiums as long as 60% of the total number of units is Filipino owned. To acquire property, you must apply and secure first a Special Resident Retirement Visa or SRRV which will entitle you to buy a house or condo. SRRV application costs around €1300 and can be renewed annually for €350. Finding an accommodation in the city has always been a rigorous process because of the growing population and stiff competition among rental seekers. Houses are best for those who are relocating with their family because of its large space. Apartments and condominiums are also available in but suits best those who are relocating alone since the price for a larger unit can be quite expensive. The location or area where you want to live plays a huge role in the cost of the unit/house. If you want to move near office blocks or universities, then you should expect that the rental fee is a bit high compared to other areas. In Manila, the average rental cost of a one-bedroom apartment is around €200 while a two-bedroom unit is usually €400 per month. Utilities like water, gas, and electricity are usually not included in the rental fee. You must prepare a separate budget of roughly €80 per month. 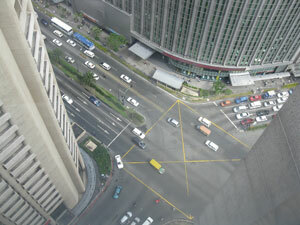 As an expat in Manila, it is best that you hire the service of a broker. Navigating around the city looking for a home can be quite dizzying so it is easier that you browse through several real estate websites first and then contact an agent to help make the search faster. The Department of Education supervises the basic years between Kinder to Senior High school. DepEd governs all private and public schools in Manila to ensure that all institutions are upholding a standard of excellence. Another government sector that is in charge of education is Commission on Higher Education or also called as CHED whose responsibility is to develop the local universities and graduate schools to be globally competitive. If your child still qualifies for the K to 12 programmes, it is not advisable that you enrol them in a public institution because of overcrowding and lack of proper facilities. The first and best options for expats are international schools. Currently, there is only one international institution inside the city of Manila which provides education to ten different nationalities. Manila is where you will find the famous University Belt that stretches from Sampaloc, Quiapo, Santa Mesa and San Miguel. You will find a mixture of private and state-owned institutions in Manila that use Filipino and English in teaching. University of Santo Tomas (UST) is a privately owned Roman Catholic and the oldest university in the Philippines which was founded on April 28, 1611. It offers primary, higher, graduate and post graduate programmes to locals and expats. Notable alumni of the UST are Dr Jose P. Rizal, the Filipino National Hero and former President Manuel L. Quezon. Another Roman Catholic school, De La Salle University was founded by the De La Salle Brothers in 1911 and initially started as an all boy’s institution. Today, DLSU has become co-educational and most middle, and upper-class Filipino families send their kids. It also caters to a huge number of expat communities in Manila who are looking for higher, graduate and post-graduate studies. San Beda College is a Catholic school that is under the supervision of the Benedictine Monks. The main campus in Manila only offers college and graduate studies but its other campus in Taytay, Rizal offers the K to 12 programmes. Its law school is a famous alumnus for many Filipino politicians including the current head of the Republic, President Rodrigo Roa Duterte. One of the most renowned state-funded schools in the country is the Polytechnic University of the Philippines that was established in 1904. The university is known for its affordable tuition fee which is Php 12.00 or € 0.228 per unit. PUP offers college and a wide range of 60 graduate and undergraduate programmes. *Tourist Visa holders are not allowed to enrol to any educational institution in Manila unless they convert their permits to student visa from the Bureau of Immigrations upon admission. This relocation guide is provided by http://www.expatfinder.com, copyright © 2016 Interexpat Pte. Ltd. All rights reserved. Neither Interexpat nor S.A.S. ACS can be held liable for any errors or omissions, or any loss, damage that may occur as a result of this information. This information does not constitute advice. 30 years experience and more than 80 000 clients all over the world. ACS counts around 40 employees and figure prominently among the insurance brokers specialized in international mobility, thanks to its 30 year experience and its 80 000 clients all over the world.